According to the newest post in SEGA’s official blog the old arcade classic Daytona USA is going to be ported to Xbox Live Arcade and the PlayStation Network later this month. This title fits in with SEGA’s resurrection of early Sega Saturn hits that have recently been ported to the XBLA marketplace, including Space Channel 5, Guardian Heroes, and SEGA Bass Fishing. 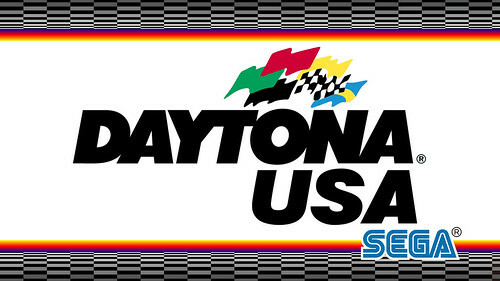 Remember the early 90’s when you walked into any arcade and Daytona USA caught your attention with it’s bright colors and impressive graphics? Gamers who grew up in this time and played the game in their childhood can now relive their fondest moments–whether it’s crashing into the walls or finally getting in first place after dumping a fist full of quarters in the machine–with the upcoming XBLA/PSN port. Daytona USA will be available for on October 25th for PSN and October 26th for the Xbox Live Arcade Marketplace, and will cost 800 MSP ($9.99).